Wisam al-Mubarak al-Kabir (the Order of Mubarak the Great): founded by Amir Sabah III on 16th July 1974. 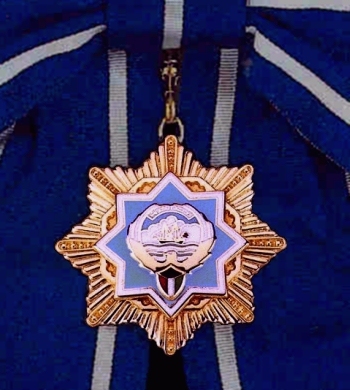 Awarded in two classes (1. 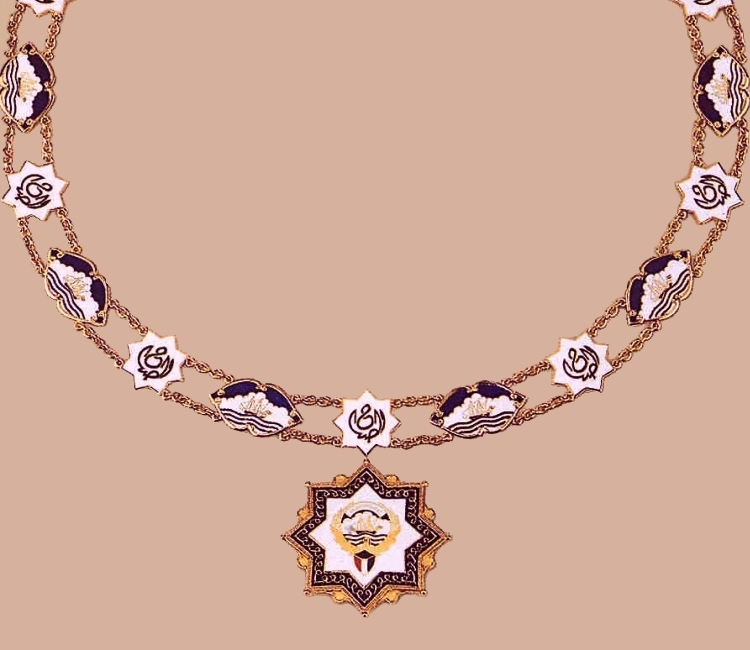 Qiladat al-Mubarak al-Kabir - Collar of Mubarak the Great, conferred on Heads of State only, and 2. 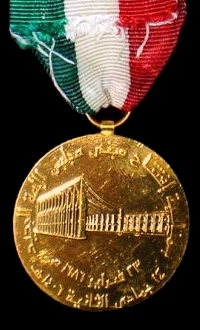 Qashah al-Mubarak al-Kabir - Grand Cordon, conferred on Kuwaiti and foreign Heirs Apparent and senior Princes). 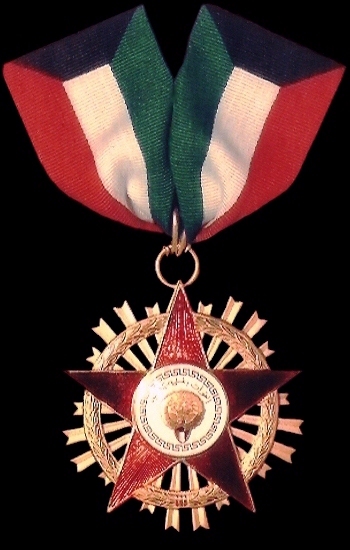 The insignia of the order were completely re-designed and the ribbon colours altered in 1992. The Collar of Mubarak the Great - type I. 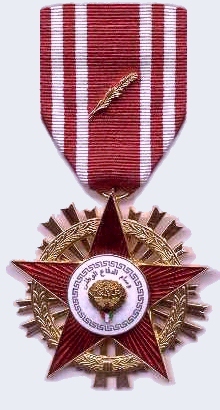 The Grand Cordon of Mubarak the Great - breast star (L) and sash badge (R) - type II. 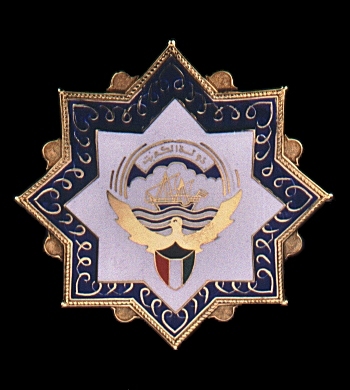 Wisam al-Kuwait (the Order of Kuwait): founded by Amir Sabah III on 16th July 1974. Reformed and modified 1991. 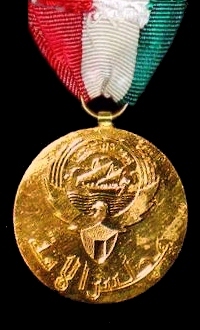 Awarded in a superior class (Grand Cordon or Special Class) reserved for Princes and Heads of Government and five ordinary classes (1. First Class, 2.Second Class, 3. Third Class, 4. Fourth Class, and 5. Fifth Class). 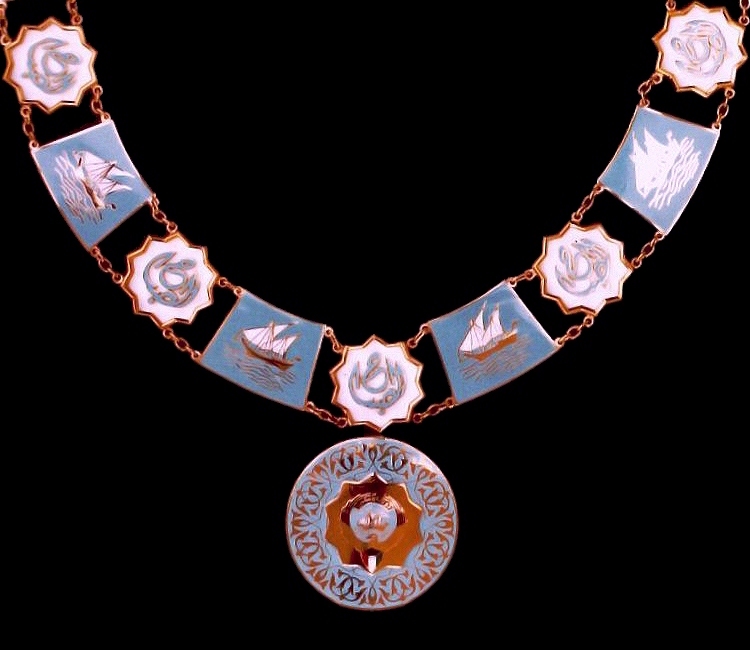 The insignia of the order were completely re-designed and the ribbon colours changed in 1992. 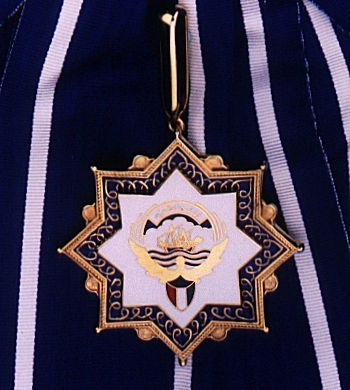 The Order of Kuwait - Second class, neck badge (L) and breast star (R) - type I. 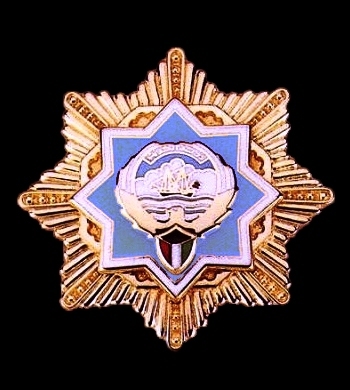 The Order of Kuwait - Fourth Class, breast badge, type I (L) and type II (R). 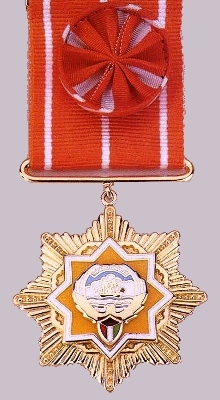 The Order of National Defence - Second Class, breast badge. 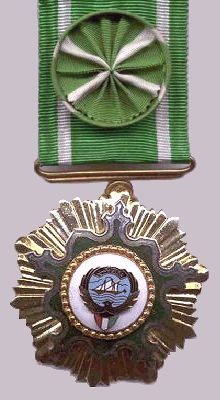 The Order of Military Distinction - Second Class, breast badge. 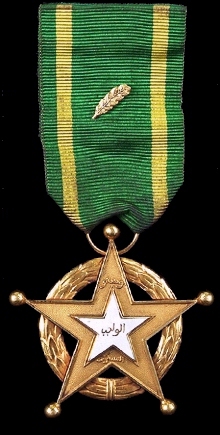 The Order of the Liberation - First Class, neck badge. The Order of the Liberation - Second, Third, Fourth and Fifth Classes breast badges (left to right). 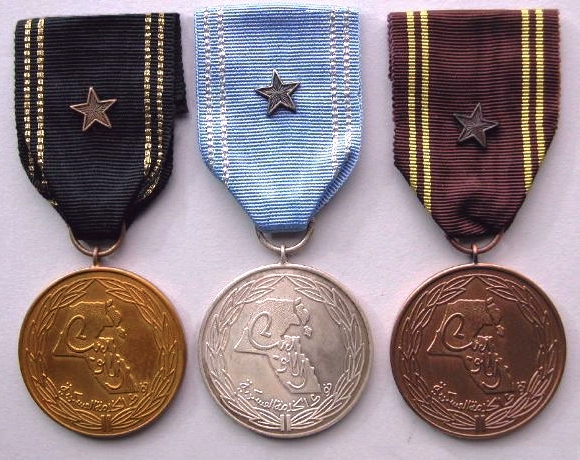 The Military Service Medal - First, Second and Third Class, obverse with service stars. 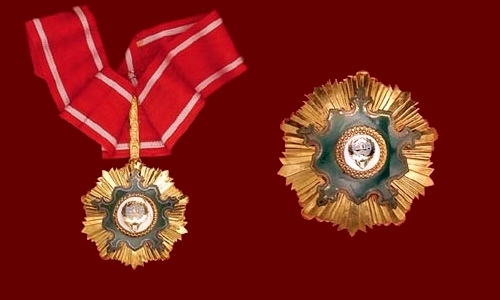 The Parliamentary Medal - obverse (L) and reverse (R).